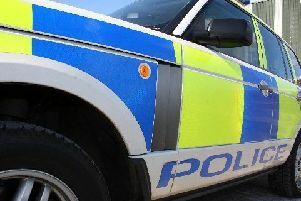 Police Scotland have arrested a teenager in connection with a number of vehicle thefts from properties in Edinburgh and the Lothians. The incidents were reported between July 8 and 27, when six properties were found to have been entered in the Gorebridge, Edinburgh, Prestonpans, Musselburgh, Newtongrange and Wallyford areas. Car keys were taken from the addresses and used to steal six vehicles, with five of these having so far been recovered. On July 8 a Suzuki Seift was stolen from Glen View Road, Gorebridge and subsequently recovered. While on July 9 a VW Golf was stolen from Forth Street, Newtongrange. It too was subsequently recovered. A 16-year-old boy has now been charged in connection with all of these incidents, as well as the theft of a motorbike from outside a property in Edinburgh. Detective Sergeant Jordan Sharp of East and Midlothian’s Community Investigation Unit said: “We remain committed to working with our colleagues across divisions to ensure that incidents like these are robustly investigated. The 16-year-old is expected to appear at Edinburgh Sheriff Court on Thursday (August 2).